The chartered members of the Speed Lions Club searched for a fund raising venture that would hold them in a sound position to serve both the local and broader communities. 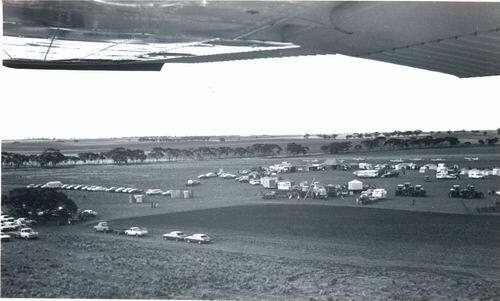 The first Field Days were held in 1979 in a local paddock. 39 dealers exhibited their products with an emphasis on broad acre agricultural machinery and equipment. The two day event was held in different temporary sites with all amenities being erected and pulled down each year. This was a major logistical exercise and after six years the current permanent site was settled on a leased area on the Sunraysia Highway between Speed and Turriff - 42km South of Ouyen, 55km North of Hopetoun. Subsequently, permanent amenities were constructed and the club was successful in acquiring the original historic Speed Railway Station as the main office. Through the years permanent buildings and utilities were built to keep up with the demand. Today, the Field Days have earned the respect of the industry. It is a major event on the agricultural calendar and one of the biggest in the Mallee. Approximately 350 site holders and the 8,500 public make the event the success that it is. They come to seek out and evaluate the equipment on offer, along with the technical information to aid modern broadacre farming. One of the features of the Field Days, which are held on the first Thursday of August and the preceding Wednesday each year, is the circular design. A section of the site is allocated for Crafts and Interests, which included Fashion Parades, Central Demonstrations and craft tables. These Field Days have developed into one of the biggest in the state and have been a great fundraiser for the Speed Lions Club and many other local organisations. 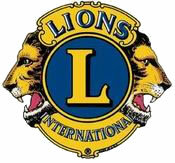 The Speed Lions Club has 24 members and without their volunteered hard labour and the support from local sporting and social clubs, this event would not be the success it is today. We look forward to seeing you at the Mallee Machinery Field Day and being a part in our future’s history.